EA transitions its most crucial franchise to the DICE’s tech, but will it enhance or hinder the series? 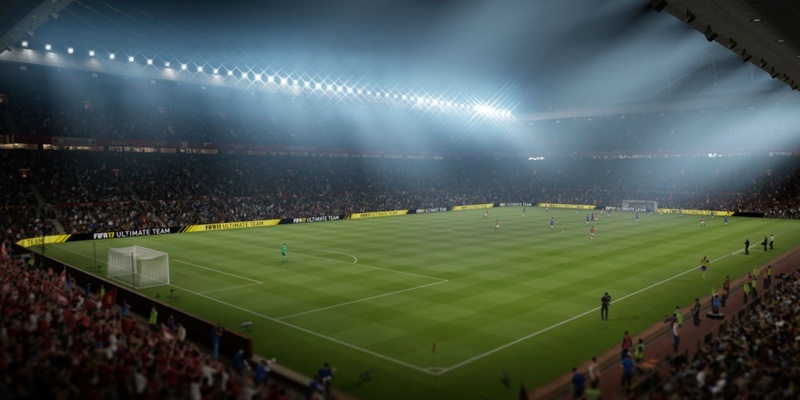 Electronic Arts has once again confirmed that this year’s FIFA outing will be powered by the firm’s Frostbite engine and revealed the first look at the upcoming game. While there is no doubt FIFA 17 is looking visually impressive, there’s a greater challenge ahead for the development team. By dropping the Ignite engine, EA Canada potentially loses many – though perhaps not all – of the intricacies and techniques that are geared specifically towards the gameplay of FIFA. Features such as crowd reactions and the ‘True Player Motion’ animations touted as a key selling points for the past few FIFA games. Some of these have been built into Frostbite over the past few years, but the point stands: Ignite was built around the FIFA titles, making it far more specialised and suited to the team’s purposes. Frostbite, meanwhile, was developed around first-person shooters – namely the Battlefield series. It has since been used in multiple other first-person shooters, or at least first-person titles, including Star Wars Battlefront and Mirror’s Edge Catalyst. Transferring development techniques and technical features between these franchises is far simpler. Even third-person action games can also benefit from an engine optimised for first-person since the gameplay and mechanics are largely similar – it’s merely the perspective that has changed. Again, Frostbite has proven itself here with the Plants vs Zombies: Garden Warfare titles. That’s not to say the engine can’t be applied to other genres. BioWare has already experimented with this in Dragon Age: Inquisition. The studio dropped its Eclipse tech used for the first two Dragon Age games and opted for Frosbite with the third outing – something that certainly made Inquisition the most visually impressive game in the trilogy. Crucially, BioWare’s technical director Jacques Lebrun said that – contrary to internet speculation – this was not a decision forced upon the studio by parent EA. However, some disgruntled fans blame Frostbite for their disappointment with the game, perceiving the tech to be unsuitable for a core RPG. None can deny that Battlefront and Mass Effect Andromeda are visually stunning. But the onus for EA Canada is to prove that Frostbite will do more than make FIFA 17 look prettier. Frostbite’s case isn’t helped by the fact that it has already been used in another EA Sports game: Rory McIlroy’s PGA Tour 15. While critics agree the game’s presentation was improved, the manpower and time required to transition to the new engine caused other features to suffer. The game ended up with a relatively low 60 rating on Metacritic, not to mention plenty of negative consumer reviews. This discontent does pose a potential danger for EA Canada: FIFA has a large and important fanbase, and it’s crucial that they are kept on side. FIFA is EA’s biggest franchise. In the UK, it is consistently the biggest selling title of the year, outperforming the likes of Call of Duty, Assassin’s Creed and even Grand Theft Auto. Any launch problems, any disappointments caused by the engine could contribute to fans jumping ship and heading to Konami’s Pro Evolution Soccer (Interestingly, a franchise that is going through the same transition, now building on the Fox Engine that powered Metal Gear Solid V). EA seems confident that the switch to Frostbite will not disrupt the series’ winning streak – and understandably so. While there are gripes about the new engine on various internet forums, the bulk of more traditional coverage for the latest Frostbite-powered games have been positive. Certainly none can deny that Star Wars Battlefront and the upcoming Mass Effect Andromeda are visually stunning. But the onus for EA Canada is to prove that Frostbite will do more than make FIFA 17 look prettier. Senior producer Nick Channon has already emphasised that the tech enables his team to do more with the game than in previous outings. 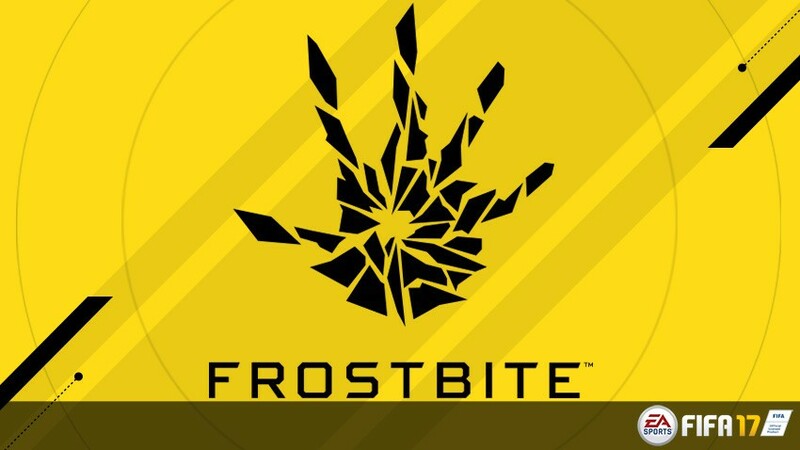 Speaking to GamesRadar, he said: “The first thing Frostbite does is allows us to do story mode [The Journey]. To do something with that scale – where you’re going beyond the pitch – is impossible without the massive toolset Frostbite gives us. The Journey story mode, and its realistic recreations of key Premier League players and managers, is already being positioned as the major selling point for this year’s FIFA and will be the best showcase for what Frostbite can do. But it will be the standard multiplayer and online matches that fans will be watching closely. A handful of EA franchises have yet to make the switch – namely Madden NFL, NHL and NBA Live. If FIFA 17 is a success, and avoids the pitfalls of PGA Tour 15, it’s a dead cert that these will also make the transition. It all depends if Frostbite can score as well as it can shoot.